Kingdom Hearts III has been out for two weeks now, and everyone unanimously agrees on one thing: Donald can never say the word “inGreDiEnTs” again. If he does, I’m changing his first name to Peking. But in all seriousness, the Keyblades in the game are pretty rad, with their transformations replacing the Drive Forms in Kingdom Hearts II. Each weapon has a (mostly) unique second form, and a few go even further beyond. 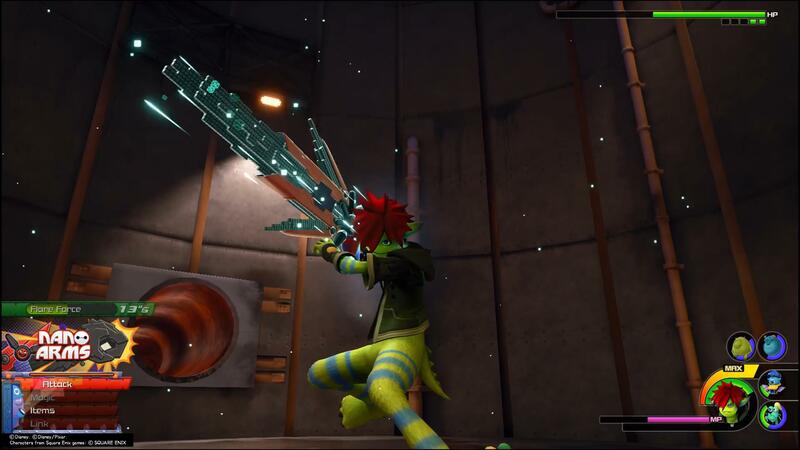 For this week, we’re going to recap the 10 objectively best Keyblades in Kingdom Hearts III. Some of them come from near the end of the game, so if you’re saving yourself for the surprise, maybe check out last week’s Tuesday 10 instead. It’s about all the edgy characters in Kingdom Hearts, and it doesn’t spoil anything about the newest game. Seeing the base Keyblade do this blew my mind in the first few hours. But things only get crazier from here. The tried and true classic of course makes its triumphant return in Kingdom Hearts III. While it lacks a lot of the strength and magic stats that the other Keyblades have, the simple and sleek design of the Kingdom Key can’t be denied. To this day, whenever I imagine Sora, he’s always wielding this weapon. In fact, every time I see the Kingdom Key, my brain immediately plays the orchestral version of “Hikari.” You’re welcome for the link, by the way. Aside from the Keyblades you get via pre-ordering, the Hero’s Origin is the first new weapon you’ll find. The blade has an intimidating, thunderous design to it that sets the tone for future Keyblades: almost none of them will be as lanky as your basic Kingdom Key. 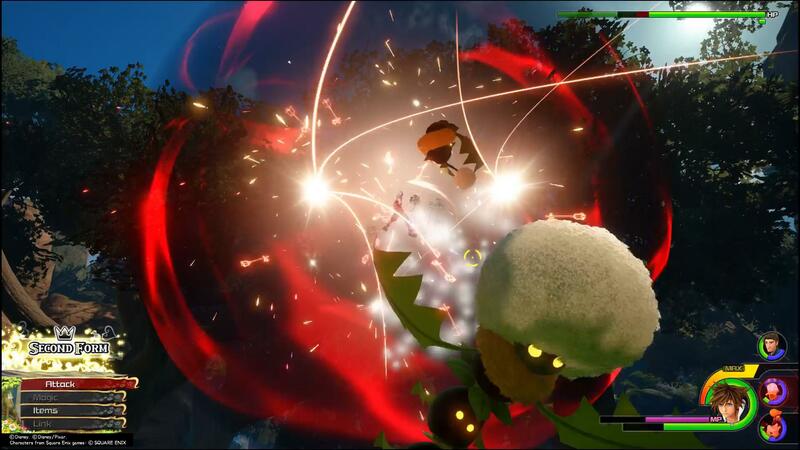 Its transformation into a shield also adds a new layer to the combat, introducing a far more defensive style of play than we’ve ever really seen in Kingdom Hearts. But if it’s a deputy, why does it have a sheriff’s badge on it? Thanks, Woody. The Toy Story Keyblade introduces another welcome change to the combative style in the game. 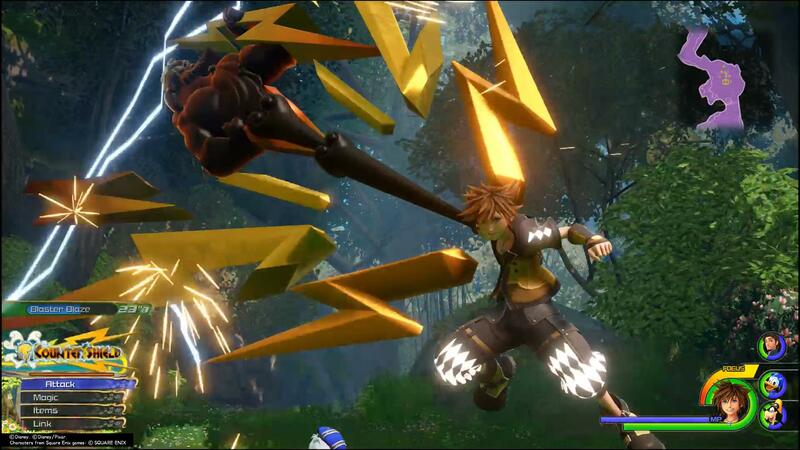 Normally, Sora moves through combat very quickly, swing his Keyblade rapidly and in wide arcs. 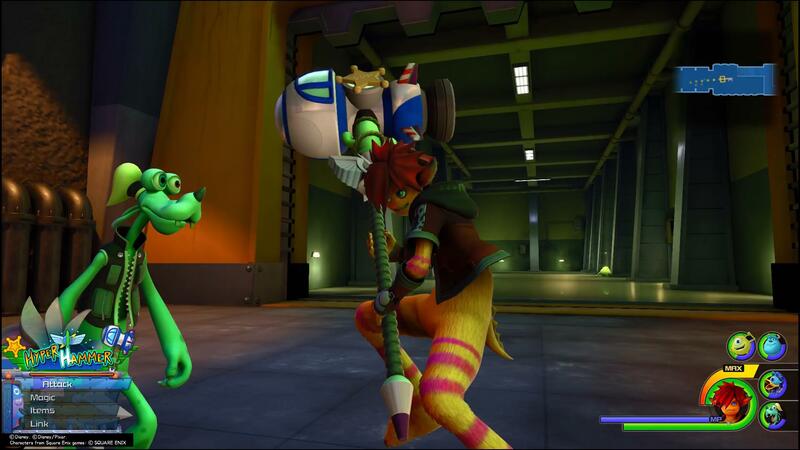 The Favorite Deputy, however, transforms into the Hyper Hammer, giving Sora a gigantic warhammer. His attacks are slower, but the satisfaction when each hit lands is unparalleled. When you’re in the air, one of his attacks crashes the hammer into the ground below, literally cracking the battlefield. 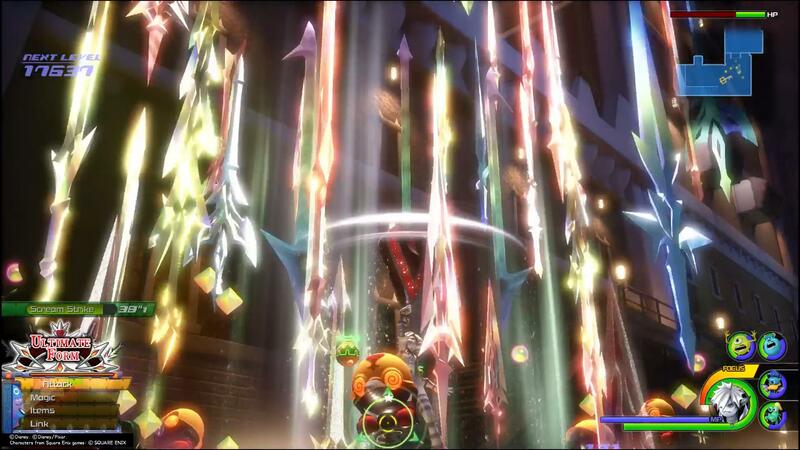 Look at all those other Keyblades. Starlight’s finisher is a neat one, despite how weak its stats are. Starlight comes to you later in the game, when you’re done with all the Disney and Pixar worlds. Or, if you’re one of the five people that played Kingdom Hearts Union χ, you might have gotten the blade earlier. Nonetheless, this Keyblade’s narrative impact hits harder than the weapon itself. It represents all the Keyblade wielders who fought in the last Keyblade War, and through that weapon, they help Sora beat up a couple Heartless. The moment you get it in the story is one of the more memorable sequences in the game, especially for people who have diligently been following the trainwreck of a story. Who needs oversized keys when you have two oversized yo-yos? Monsters, Inc. went straight, going for laughs and happiness instead of screams. So it only makes sense that the Keyblade plays off that. 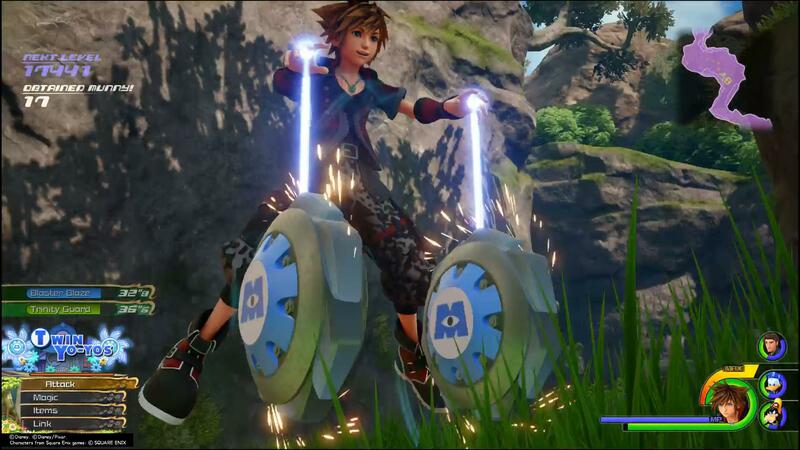 If anything though, the coolest part of this weapon is how much it ramps up Sora’s agility. The second form, the Agile Claws, gives him sharp gauntlets to ravage enemies, and even his dodge does damage to nearby foes. But when he goes further beyond, he dual-wields some powerful yo-yos, which also function as grappling hooks to bring him closer to any unwitting Heartless. He’s probably practicing for the 2022 Winter Olympics. 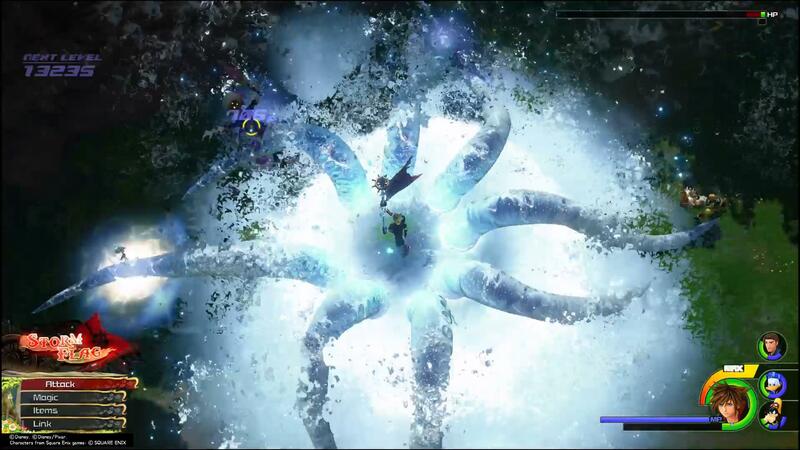 This Keyblade comes from Arendelle, the Frozen world, and it also has two transformations. The second form is practically a carbon copy of the Happy Gear’s Agile Claws but made of ice. Otherwise, it plays the exact same way. Its third form, however, is the Blizzard Blades, turning Sora into a deadly figure skater with powerful magic capabilities. No other Keyblade styles on the Heartless as much as this one. Despite how much you have to go through to get this weapon, it does have a mind-blowing transformation. So some longtime Keyblade warriors might be wondering how Ultima isn’t at the top of the list. And yeah, it might deserve the spot. It has the best stats, amazing passive abilities, and its transformation turns Sora into a teleporting spider monkey of whirling blades and death. It’s just hard to get over how much extra crap you have to do to farm all the materials to craft Ultima. Only the most dedicated people will see this weapon in their own game, and at times, it doesn’t feel worth it, considering some of the other Keyblades on this list. Frankly, as I was writing this, part of me wanted to put this Keyblade up higher on the list. So I did, and now it’s No. 3. 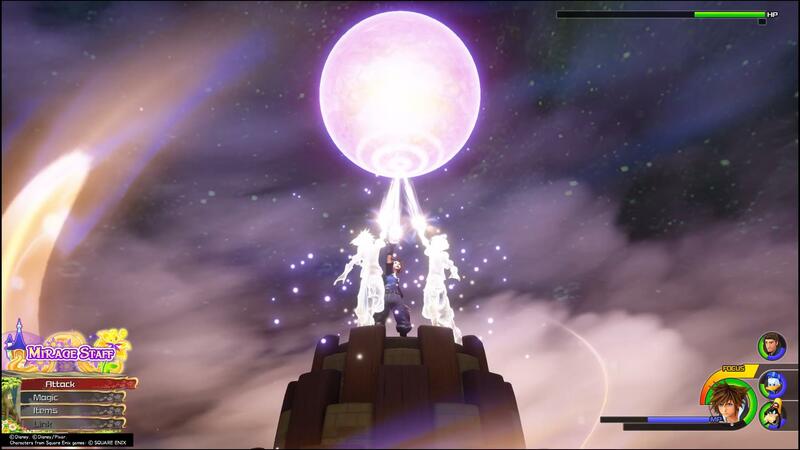 Both of its transformations make Sora almost untouchable. The second form, called Highwind, turns the blade into a spear, but it still has a wide area of effect because reasons. The moment Sora teleported above enemies and brought the spear down (along with, like, 10 copies of it), I thought it was the coolest thing. And the Storm Flag transformation that leads to the water Kraken finisher? It really can’t be beat. Well, except by two other Keyblades. What’s that? I’m putting one of the baby early-game Keyblades above the Ultima? Yeah, I am. Ever After enters your inventory after you help Rapunzel find her brunette side, and its transformation is easily one of the best in the game. Called Mirage Staff, its attack pattern is reminiscent of endgame Kingdom Hearts II Sora, but where it really shines is in its special mechanic. Every time you dodge on the ground, you leave behind a copy of Sora. 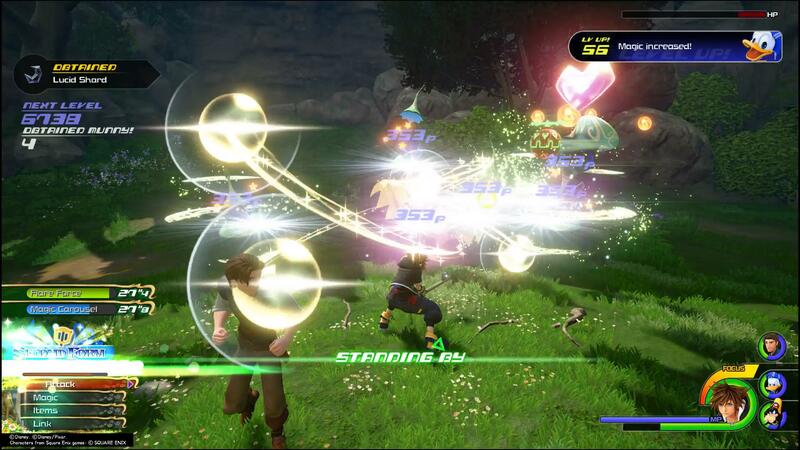 Up to four can be on the field, and after placing them, Sora can smash that attack button to shoot enemies with some magic bolts. His copies will do the same. No other Keyblade plays like that, and it’s a neat mechanic that culminates in one of the coolest finishers in the game. Believe me, these arms are anything but nano. Here we are, the top of the mountain. The Nano Arms fits the bill as one of the best Keyblades in the game. Its balanced but high stats makes it a great substitute for the Ultima weapon, and its transformation has a little bit of everything in it. You get the hammer from Favorite Deputy, the yo-yos from Happy Gear, and even the Storm Flag from the Wheel of Fate. All of them are incorporated into the attack string of the Nano Arms, making it like the ‘greatest hits’ of Keyblades in the game. 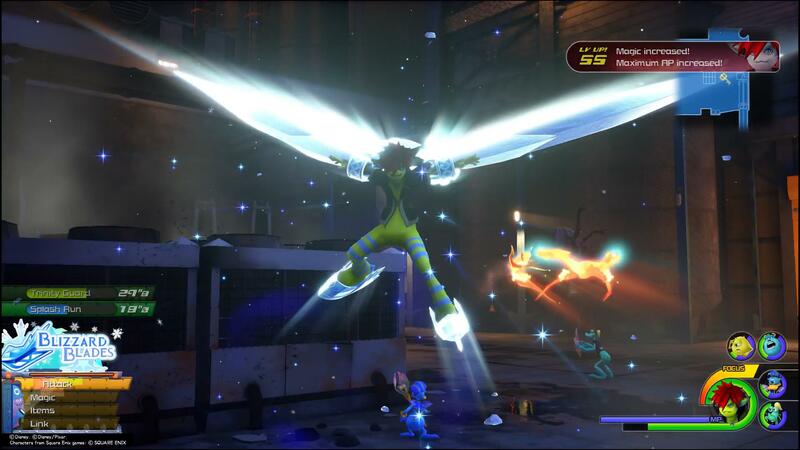 The transformation also lets you glide, which is neat until Sora inherently learns that in the next world. Still, this Keyblade stands as the best in the game, despite its bulky artistic style.